Richard Murphy of course doesn't agree but then so what? He's in fact completely missed which Treasury is losing from the arrangement, and it ain't the UK one. It's the ones in the countries where the money was lent, not us. And even then, there's nothing illegal or even dodgy about it. There's nothing I can see dodgy about this at all: only repatriated foreign profits are subject to UK tax (at least as far as I know) so not repatriating them isn't tax dodging. This does, I think, show how little he knows about tax. So let me do him the favour of explaining how this works, and why it is abusive. What is clear is that Tescos, which is a UK based operation, has decided to fund an overseas operation. It can do so using its shareholder's funds (which can only be accessed ultimately though the UK operation) either by providing loan capital or share capital. If the destination country has thin capitalisation rules then it is likely to be a mix of both. In that case the interest paid overseas would be a deduction for tax there, and would be income in the UK, where the funds ultimately belong. These should happen contemporaneously i.e. the deduction in one should be matched by the receipt in the other. If there are differing tax rates at which deduction and charge are made then there may be a tax gain or loss: that is a cost of doing business internationally. The remaining profits out of which dividends may be paid are subject to local tax on profits and also to tax on profits when (and if) received in the UK if the UK rate is higher. There is deferral of UK tax until the profit is distributed overseas, assuming a genuine trade is being undertaken. That is acceptable under UK tax rules, and is I think, tax compliant as well. When the Guardian visited, the only evidence of the office was a local accountant's brass plate. 1) Note that the £1 billion of funds provided to Cheshunt Overseas LLP is provided in the form of capital. 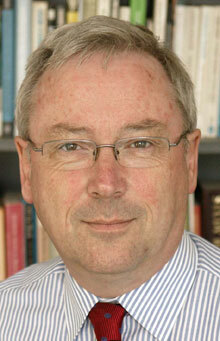 There is no 'arms length principle' on capital: a return does not have to be paid. This is, I suspect, deliberate: it looks like there was a desire to avoid a tax impact from this deal at the top level of Tesco's corporate structure. Subscribing £1 billion in capital allows this. Amazingly, that is about 20% of the entire issued capital of Tesco right now, to give this some perspective. 2) But note the funds are provided onwards solely in the form of loans: interest can be charged on that. Again, that looks entirely deliberate to me. It provides a way to tax arbitrage a saving for Tesco by getting a deduction of interest paid in Tesco Overseas (wherever that might be) at a higher tax rate than is suffered in Zug: the differential is nothing short of a government subsidy to Tescos. I think this is the aim of the avoidance exercise being undertaken here. 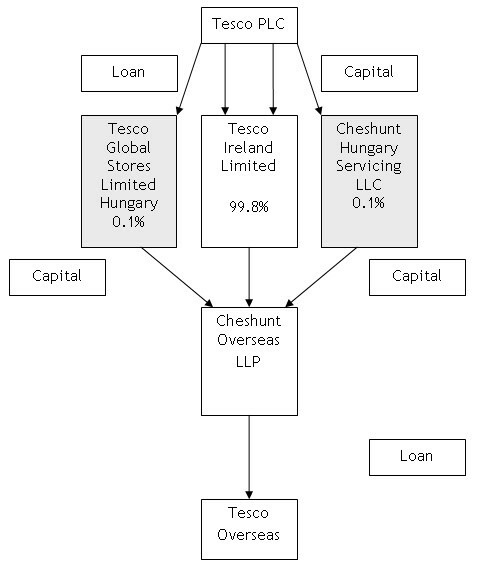 3) Note that 0.2% of Cheshunt Overseas LLP is owned by its two designated (and so 'managing') partners, both based in Hungary. 99.8% is controlled in Ireland, with a lax foreign company regime (which is a deliberate part of its own tax haven structure designed to induce relocation of taxable profits from other countries). But control is vested in Hungary, although almost no profit goes there. 4) The interest received in Zug is lightly taxed, at under 6%. But there is almost nowhere in the world that offers tax rates as low as that. We do not know where the funds are used by Tesco. But if they're used in the USA the tax rate for the interest deduction is at least 35%. In Thailand the rate is likely to be 30% but certainly won't be less than 15%. It seems likely that the Private Eye claim that tax is being saved, or at least deferred, at up to 24% is justified in this case as a result. The saving is £16 million to date in the Eye's opinion, and it's easy to replicate the calculation. The Government announced action, effective from today, to counter avoidance schemes used by some international groups of companies to circumvent the application of the CFC legislation through the use of trusts and partnerships. Draft legislation and the draft explanatory note have been published on the HMRC website today, prior to inclusion in Finance Bill 2008. I think this is targeted at schemes like this, and for one good reason: they are abusive. The arrangement might therefore have already been closed, but while it was in use it was considered unacceptable. 6) Did the UK Treasury lose as a result? Yes, of course they did: I think this 'artificial and contrived method of adjusting Tesco's economic and organisational affairs was intended to reduce their tax liability in accordance with the law while not affecting the economic substance of the transactions' and as such constituted tax avoidance. And who suffered? Well despite what Tim Worstall says, the UK did lose. The overseas exchequers did not if their laws allowed deduction of the loan interest paid to Zug under their thin capitalisation rules. Ireland, Hungary and Zug did not lose: their laws are simply being used and in at least two cases they design them with that intent. So it is only the UK who lose. This begs the question, Is a £16 million loss to the UK material? Yes, it is. For example, Tescos boasts on its own web site of the £118 million it has donated in 'free' computer equipment for schools over a period of 16 years. It places great store on this activity but it's (very crudely) £7.3 million a year. In the two years it has run Cheshunt Overseas LLP it has recovered more than that a year in tax, at direct cost to the UK government. Add in the stamp duty Tescos says it has saved on its Cayman deals (£23 million) and already one third of all those computers 'given' away has been paid for by tax avoidance at cost to the UK government over the last couple of years or so. I call that very material indeed in the context of Tescos. 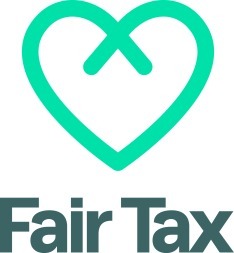 I think this makes Tesco a clear example of a company that claims to be acting as if a responsible corporate citizen when its behaviour with regard to tax suggests it is not. And I suspect that it has relied on the fact that the structure is incredibly obscure to hide that fact. The Guardian has already admitted a serious libel against Tesco after the last time it conducted an inept investigation into our tax affairs. It appears from these further allegations that the paper is waging a vendetta against Tesco in order to, somehow, justify this earlier libel. The truth is that Tesco pays a disproportionately high amount of tax in the UK - around £1bn a year including corporation tax, business rates and employer's NIC. As well as being materially inaccurate, the continued attempts to portray Tesco as a business devoted to avoiding UK tax are wholly and deliberately misleading. The legal case against the Guardian is ongoing which limits what we can say, but the information put to us continues to show a complete lack of knowledge when it comes to tax. It is also riddled with inaccuracies and designed to portray as unethical what is in fact entirely legitimate and commonplace funding of international companies by successful global businesses based in Britain. I am afraid these statements are, in my opinion, wrong. Tescos does appear on this evidence to be a business that is avoiding UK tax. It has avoided stamp duty and corporation tax, and has set up immensely complex structures to do so. Which, incidentally, is exactly what the Guardian alleged. The claim that Tescos pays a 'disproportionately high amount of tax in the UK' is also wrong in my opinion. It has not paid more than £1 billion that might reasonably have been expected of it over the last 9 years. But most of all, the company has shown itself to be deeply confused on ethical issues. Legal conduct can be unethical. What is legal can become illegal in tax (and it looks like this is happening in the case of the scheme Tescos have been operating - no doubt precisely because it is considered aggressive tax avoidance by HM Revenue & Customs) and that fact that something is commonplace has never legitimised it. Tescos needs to back off now, realise it is digging an ever deeper pit for itself in PR terms, and get on with what people would wish it to do, which is to pay its taxes, just as most people in this country do. Is it much to ask?